Major hydropower and roadway investments chime well with the overall objectives of the Belt and Road Initiative. Dam good: Will the benefits of the Bakun hydroelectric facility jump-start the local digital economy? Speculation as to Malaysia's future economic priorities have frequently focused on the country's oil and gas reserves, palm oil production, high-tech manufacturing, real estate and, of course, tourism. While its potential strengths in the hydropower sector have remained largely overlooked, two high-profile dam projects may be about to change all that, with Sarawak's long-mooted Corridor of Renewable Energy now set to become a reality. 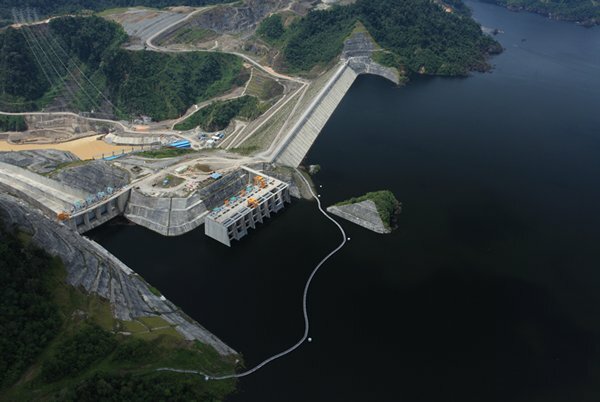 Last month, Sarawak Energy Berhad, the power generation company owned and operated by the state government of Sarawak, completed its purchase of the 2,400 mW Bakun Dam from Malaysia's Ministry of Finance. The company paid RM2.5 billion in cash, with a further RM6 billion in loan facilities, to take possession of one of Southeast Asia's most significant – and controversial – power projects. Work on the dam was originally completed in 2010, but the site didn't come fully online until July 2014. In a further development, in October 2018, work is expected to begin on the construction of the 1,285 mW Baleh Hydroelectric Facility. The project is being jointly undertaken by the China Gezhouba Group, the Wuhan-based construction and engineering giant, and Untang Jaya, a Sarawak-based construction company. Once completed, Baleh will be the fourth hydroelectric installation to have been co-opted into Sarawak's Corridor of Renewable Energy, an initiative launched in 2008 on Borneo, an island jointly administered by Malaysia, Indonesia and Brunei. This will see it line up alongside the Bakun Dam, the 944 mW Murum Dam and the 100 mW Batang Ai Dam. Following the completion of the Bakun deal, the Sarawak government, together with its Sarawak Energy subsidiary, now owns all of the state's electricity generation facilities, granting it considerable leverage over the future direction of other local infrastructure projects. This will include the proposed redevelopment of the Bakun Lake region into a prime tourism destination, complete with a range of new hotels and resorts. Another project with clear links to the Sarawak Corridor of Renewable Energy is a proposed coastal highway. At present, it is anticipated that up to 80% of its construction costs could be covered by Chinese investment in line with the overall objectives of the Belt and Road Initiative. Considered something of a huge undertaking, the project would entail the construction of several bridges, as well as substantial upgrades to roadways in the more rural and forested areas. Should it get the go-ahead, the coastal highway would only be the latest of the country's array of ambitious transport infrastructure projects. Indeed, work is already under way on the RM16.5 billion, 1,073km Pan-Borneo Highway, a Malaysian government-backed initiative intended to link the country's two Borneo-based states, Sarawak and Sabah. It could also, ultimately, connect to Brunei via the 30km Temburong Bridge. Currently under construction by the China State Construction Engineering Corp, the bridge is scheduled for completion in late 2019. The first 786km-long phase of the Pan-Borneo Highway is due to be finished a little later – in 2022. Once completed, though, it is hoped that the road will stimulate further investment in infrastructure, public transport, telecoms networks and public-health facilities across the vast tranches of Malaysia's rugged, underdeveloped terrain that the highway extends across. For its part, the Sarawak government has claimed its bid to take overall control of the state's renewable-energy resources is in line with its long-term ambition to transform the region into a digital-communications hub. To this end, it has already pledged to invest RM2 billion over the next five years in installing fibre-optic cables and satellite connectivity across the state in order to jump-start the local digital economy. The move is part of a wider agenda intended to rebalance the economy and see it shift away from its traditional reliance on the oil and gas, mining, agriculture and forestry sectors. Outlining the policy, Datuk Amar Abang Johari Tun Openg, Sarawak's Chief Minister, said: "Bakun and the other hydroelectric projects will play a strategic role in powering the digital economy. We believe that the integrated management of the local hydropower facilities will help attract many of the global digital giants to Sarawak."